As a fashion enthusiast, I spend countless of hours browsing through fashion magazines, shopping till I drop and pretty much anything in between. Even when I’m not doing it, there’s a 100% chance I’m thinking about it. And each season we get bombarded with new trends, so you can imagine the quantity can get a tiny bit overwhelming. After all it’s unattainable to get it all. So if you’re looking to keep your wardrobe up-to-date and want to know what the hottest trends are that spring 2019 has to offer, keep on reading! This blue-ish green colour is a trend that is as unexpected as it’s appealing. The colour was worn head to toe by the many fabulous street style stars at the international fashion weeks. These fashionistas proved that turquoise is immensely stylish! Whether worn ton-sur-ton, in the form of a bag or even in your hair (hair dye anyone?). This summery colour adds an enchanting yet edgy touch to your favourite looks. And if you feel inspirationless, you can always look at Gucci or Carolina Herrera for their interpretation of spring’s hottest colour! Still dreaming about that feather trimmed Prada trenchcoat from last year? Or are you ready to take it up a notch and embrace your inner Pino? It served as an inspiration for many, from Valentino to Loewe, but it was Marc Jacobs who proved he’s not afraid of a little peacocking, as models strutted around wearing his fluffy ensembles. That means only one thing: Feathers are back baby! Basically, you can wear it however you like, but keep in mind it’s all about drama this spring. Add a neon lip for that extra theatrical effect. 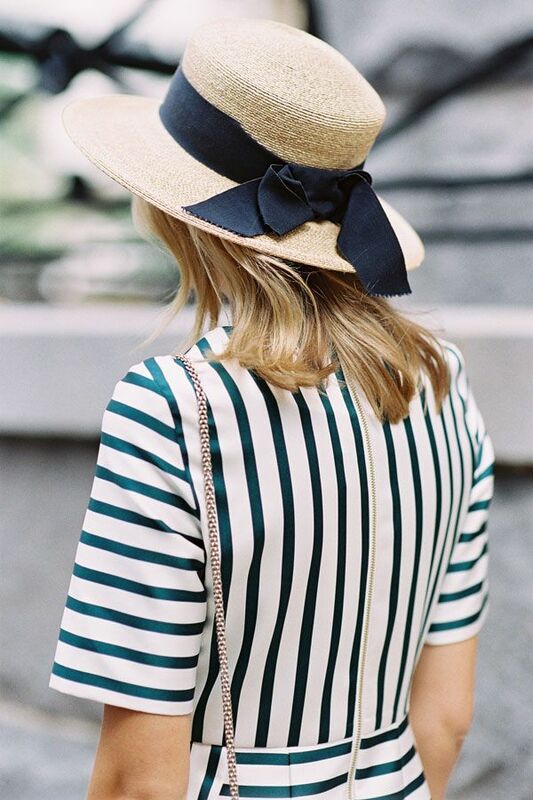 Straw hats are definitely back and they’re here to stay! Thé must have of the season if you’re all about far away destinations, lounging in The Hamptons or gardening the day away. It’s not only to protect against the sun but it’s hella stylish as well! It adds a tropical vibe to any outfit, whether you pair it up with florals, slouchy linen pants or a white suit. It’ll tie the whole look together! The simplistic days are over, it’s all about embracing eccentricity. Get your 80’s grove on, we’re going Dynasty! 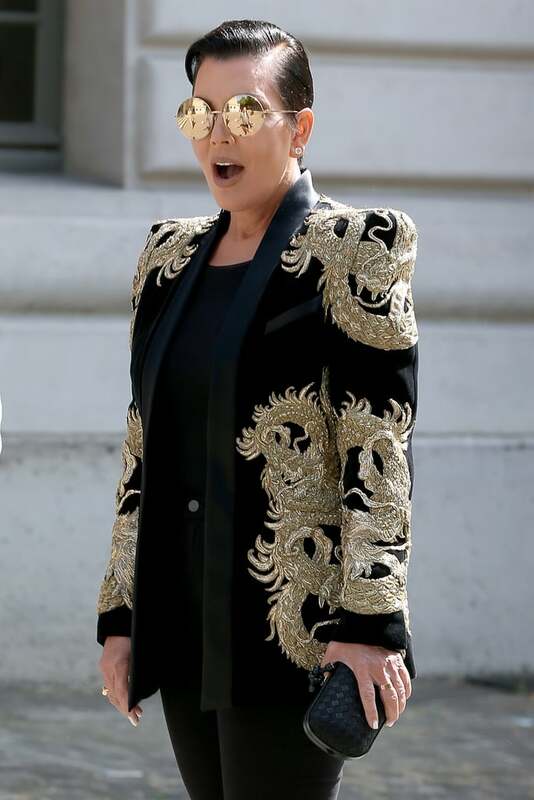 Even though Balmain is grasping on broad shoulders for years now, its brands like Maison Margiela, Louis Vuitton and Mugler that were spotted on the runway reinventing this bold trend. Not anxious about looking powerful and making a statement? Than this is the trend for you. 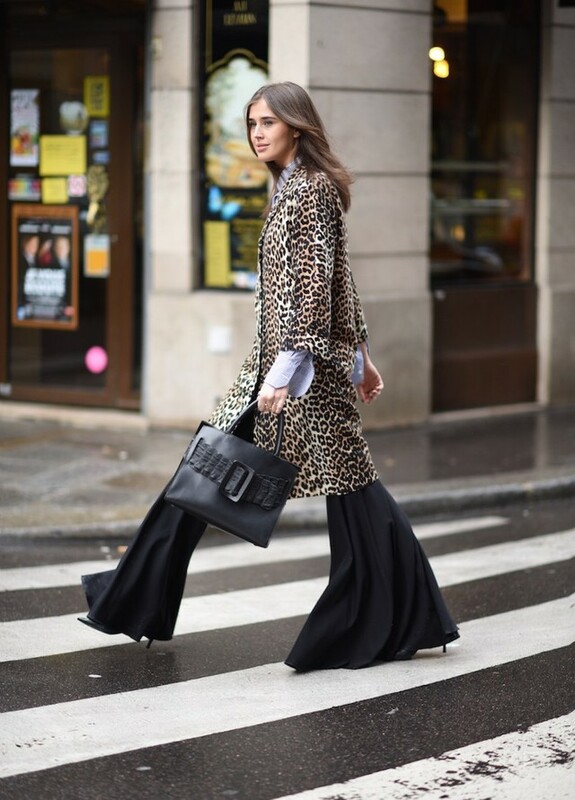 It translates its best in the form of a powersuit combined with killer heels (or sneakers) and cat-eye sunglasses. Why choose one 80’s trend, when you could wear at least 5? This was the thought at Balmain, Gucci, Christopher Kane and many more. This 80’s reincarnation consists of denim jackets, head bands, neon, lingerie as outerwear, leotards, sequins, oversized silhouettes and literally anything else what Madonna wore back in the time. Do it right by mixing a sequin bodycon dress with an oversized neon fur coat by night and a lace leotard with leather pants by day. From caramel to espresso, all you need to do is finding the right shade, or go tonal for that monochromatic effect. Burberry showed us how to do it right; By combining a beige delicate cami top with a tan calfskin pencil skirt and coffee coloured pumps. Try it yourself if you’re after something subtle yet interesting! So cuuuuute I love this trend report!